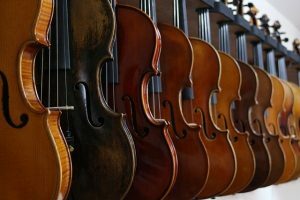 All orchestral string instruments deserve to be correctly maintained. To do so appropriately, one has to invest in a couple of practical accessories. To assist you in your quest of finding reliable products of this kind, we have put together a list of items that are worthy of your time and attention. No matter if you play the viola, the violin or the cello, it is essential that you purchase high-quality strings. 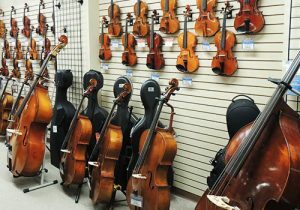 If you use the instrument frequently, the specialists recommend that you change the viola or violin strings every three or six months. Similarly, cello and double bass strings have to be replaced every six months or once a year. Still, if you do not use the instrument that often, the strings can last longer. Currently, the market is filled with numerous models of strings that you can buy, depending on your preferences and your budget. Yet, before you place any orders, do not forget to check whether or not that particular product is suitable to be used with the type of instrument that you own. Also, it might be a good idea to go online and read what previous buyers had to say about a specific product before you decide to acquire it. As one advances from beginner level to intermediate, he/she has to invest in a new bow. When getting a high-quality model, the bow can supply the user with the ability to improve his/her playing technique as well as the tone. Because bows are rather expensive, there are a few tips that you have to keep in mind if you want to extend the life of the unit that you are using. For instance, you can use rosin and you can clean it properly as often as possible. Besides, pay attention to the level of humidity and adjust its tension when necessary. Although it is normal for a bow to lose a few hairs, if the model that you are utilizing is visibly bald, you might want to purchase a new one. In order to read a piece of music with little to no additional effort, it is practical for you to use a music stand. Also, an instrument stand can prove equally feasible as it can keep your beloved device safe when you are not playing. Still, it is worth pointing out that some have argued that one should keep his/her instrument in a case. A good stand has to be made of good materials and it has to be rather sturdy. Therefore, it has to be able to support the weight of your instrument. This aspect is crucial in the case of double basses and cellos, as they tend to be rather heavy. If you own more than an instrument, it might be a good idea to acquire a stand that has multiple pegs. 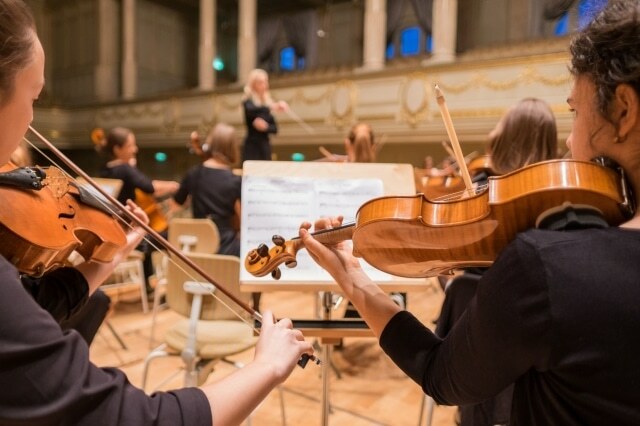 As you know, most orchestral string instruments are made of wood and other materials that are easily damaged when exposed to changes in humidity and temperature. If you want to avoid having your instrument affected by these factors, it is recommendable that you invest in a quality humidifier. A product of this type can protect your prized possession from excessive dryness. Even more so, humidifiers are rather small in size and weight, and they can easily fit in the case of your instrument. If you want your instrument to look and to perform great, you should also spend money on quality cleaning supplies. On top of that, some experts also claim that by doing so you can prevent it from getting damaged easily. To make sure that you clean it appropriately, it might be a good idea to ask your teacher for extra tips and tricks. As a plus, remember to wipe it down every time you use it and to dust it at least once every week. Plus, the strings of the device should be cleaned monthly. If you want to avoid causing any damage to it, it is also advisable that you take your prized instrument to a repair shop for scheduled maintenance. If you are a beginner, and you find it difficult to get used to the weight of the instrument that you’ve started to learn how to play, some point out that using a shoulder rest might help. However, these devices are not considered a must-have by more experienced players. All those that spend countless hours playing an instrument such as a violin or a cello might also want to check out some of the seats and benches that are available. Most of these seats have an adjustable height, and they include extra padding for comfort. Even more so, there are models that have a high back so that you are provided with the needed support. If you want to record yourself while practicing or while playing, you can also purchase a pickup. These instruments capture the vibrations made by the strings and convert them into a signal that can be recorded or amplified. To put it differently, a pickup acts similarly to how a microphone does. Flashcards are also a good acquisition. You can buy flashcards that were specifically created to be used with the type of instrument that you play, as they can help you learn how to master it faster and in a more fun way. Most of these flashcards include easy-to-read music notations and the names of the respective notes. Additionally, they include info on where you have to place your fingers on the fingerboard. Enharmonic equivalents and instructions that are somewhat helpful are also included. Lastly, tuners are also a good purchase, especially if you find it difficult to use your instrument when it is out of pitch. If you are in need of a tuner for your violin, but you don’t know what model to select, take a good look at the quality models we found, as we are sure that you will find one that you like.